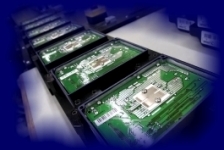 The PCB Design is filed away and the Printed Circuit Boards are fabricated. Now What!!! assembly. So whether you have 1 board or 100 boards, we got you covered. Product Quality and Delivery is important to you. Our reputation is important to us. Excellent quality work and On-Time delivery means repeat business and recommendations to your colleagues. Rest assured you will receive the best quality product On-Time.